Leslie Diehl was kind enough to invite me to participate in The Next Big Thing Blog Hop in which authors are invited to talk about what they are working on. The blog hop has been going on for some time, and for the most part, those who want to participate have already done so. I suppose I’m bringing up the tail end of this little piece of BSP (blatant self promotion). Leslie has a beautifully done and informative blog at http://anotherdraught.blogspot.com. Visit and check her out. She has interesting posts about writing and other writers as well. The truth is that I’m releasing the book next month and have taken this opportunity for BSP. In fact, my signing for the book is on at 7 p.m. on February 1 at Murder on the Beach Mystery Bookstore in Delray Beach. All of my mysteries feature bright, edgy, dedicated nurses who go beyond expectations to get the job done, often risking their professions and their lives in the process. manner for all of the concerned characters. Wow! I should dream that big. Jolie and Pitt! then she antagonizes the wrong man. which is a step up I suppose. It took a good year. I work full-time teaching nursing school, so I write when I can. But, of course, that is only the beginning. As an Indie author, I am not blessed with an agent or editor, so I work with a critique group. I submit each chapter for critique, suffer through the sometimes brutal comments, then rewrite to make it better. I believe independent authors have a responsibility to make their novels as cleanly written as possible. Critique groups, beta readers, and unsuspecting husbands make that possible. I was inspired by Barbara Parker, but I’d never claim to compare. Perhaps the only comparison is the female protagonist has an ongoing and evolving relationship with her alpha-male boyfriend. I aspire to write like Barbara did. I don’t think that nurses get enough credit for the work they do or that abuse issues get enough publicity. 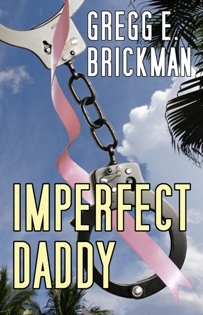 I intend to center all of the Sophia Burgess and Ray Stone Imperfect Series books around abuse issues. The next one, I think, will deal with elder abuse. Each of my books has a focus on a medical or nursing issue as a subplot. challenges of a young woman with Multiple Sclerosis. Please visit the following blogs and see what the authors are up to. Good luck with your new title! Lori Avocato is the only other mystery writer I know who writes about nurses, and her nurse has turned into a medical insurance investigator. Yours sound more like serious crime fiction with the issues you address. Thank you, Nancy. I’m trying to meet the challenge of my nurses solving crimes and still taking care of patients, too.